Increase investments in basic and applied neuroscience. Encourage innovation among all sectors. 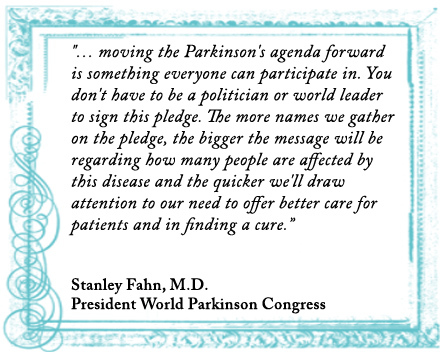 Educate people with Parkinson's and their friends and family to become actively involved in the PD community. Better understand those who live with Parkinson's. Invite your relatives and friends to sign this global pledge as well! We need all the support we can get for our cause.